LIKE A ROLLING STONE. Eau Claire curler Geoff Goodland will go to Norway in April to compete in the World Senior Curling Championships in Stavangar, Norway. It will be his fifth trip to the World Senior event. 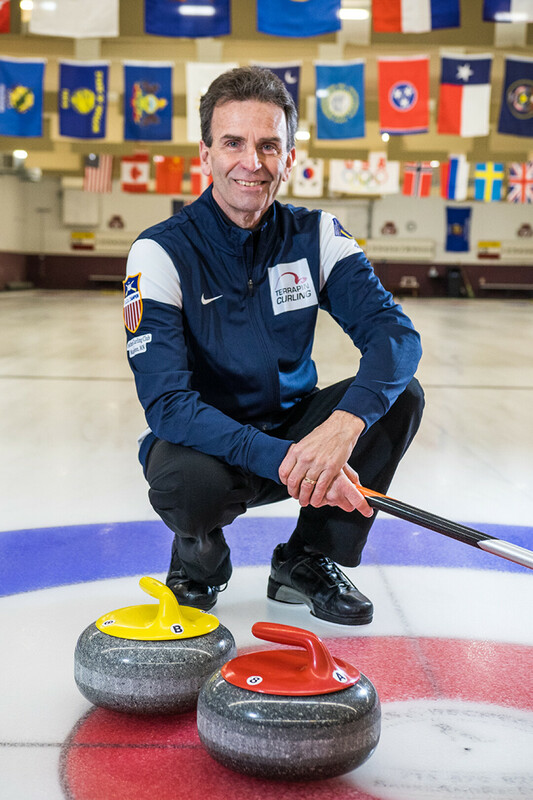 Local curler and five-time world championship competitor Geoff Goodland will make his way to Stavanger, Norway, in April to compete in the 2019 World Senior Championships. 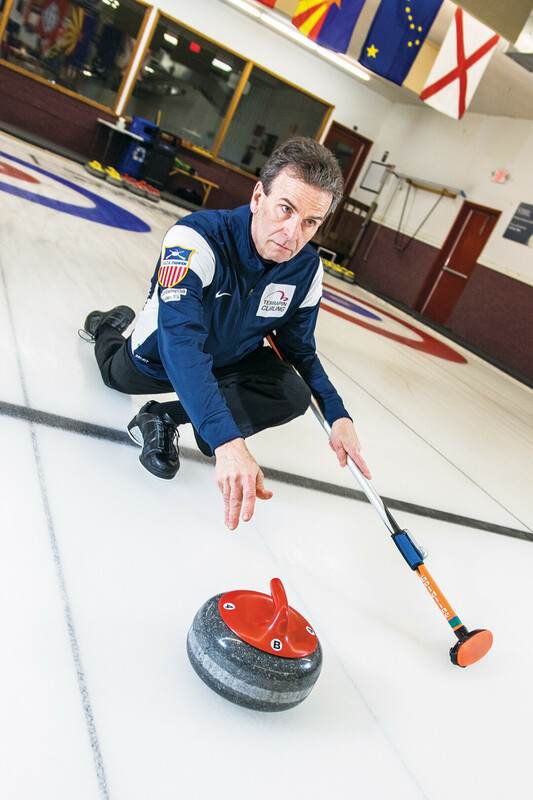 After a season of sweeping with Mike Fraboni, Pete Westburg, and Dan Wiza, Goodland – who directs the team as the skip – was unable to compete in the USA Senior National Championship because of a concussion. Todd Birr of Blaine, Minnesota, joined the team two games into the competition, which was held in Mapleton, Minnesota, to help the group go undefeated through nine brackets. Curling is an indoor sport in which teams of four or five take turns trying to slide stones across a sheet of ice as close to the center of a target as possible. A “skip” near the target instructs the team on how to get the best throw. Other members sweep the ice ahead of the stone to melt it slightly, reducing friction as it moves. The team with the most points at the end of eight or 10 rounds (called ends) wins. “To have Todd be able to join us is a real boost, because Todd is a great curler, and he’s just eligible this year for the first time for the seniors,” Goodland said. Senior division curling accepts curlers 50 years or older, which adds an interesting element to the game. “when you become eligible at 50, you’re a rookie, but you have an advantage because each year it’s tougher and tougher to compete with these new guys coming in,” Goodland explained. His team has an age range of 20 years, with the addition of Birr. Curling at the world championships requires a team of five, which makes Birr doubly welcome. “I’m feeling pretty good about it and I’m feeling very confident in the team we have,” Goodland said. Now fully recovered from his injury, he must spend some time practicing with Birr to get used to the new dynamic. Thanks to the camaraderie-based culture of curling, that should be easy to do. “What’s really unique about the sport is that you go out there, you’re fiercely competitive with the other team, but you start out the game with an introduction and a handshake,” Goodland said. After every game, players shake hands again, and then sit down with one another for an hour or two of socializing. Players get to know one another, even when they’re from different states or different countries, and form friendships. No one would ever do something on or off the ice to jeopardize the social aspect of the sport, Goodland said. The Curling World Championship will take place April 20-27. The teams will be split into pools, and play round-robin style to determine which competitors advance to the final eight. Those teams will then proceed in a bracket, each win taking them a little closer to the gold. The Curling World Championships are live broadcast on television and on YouTube: www.youtube.com/user/WorldCurlingTV. This channel also features a handy primer on the rules of curling!